Microglia play a crucial role in the inflammatory brain response to infection. However, overactivation of microglia is neurotoxic. Toll-like receptor 4 (TLR4) is involved in microglial activation via lipopolysaccharide (LPS), which triggers a variety of cytotoxic pro-inflammatory markers that produce deleterious effects on neuronal cells. Ferulic acid (FA) is a phenolic compound that exerts antioxidant and anti-inflammatory effects in neurodegenerative disease. However, the manner in which FA inhibits neuroinflammation-induced neurodegeneration is poorly understood. Therefore, we investigated the anti-inflammatory effects of FA against LPS-induced neuroinflammation in the mouse brain. First, we provide evidence that FA interferes with TLR4 interaction sites, which are required for the activation of microglia-induced neuroinflammation, and further examined the potential mechanism of its neuroprotective effects in the mouse hippocampus using molecular docking simulation and immunoblot analysis. Our results indicated that FA treatment inhibited glial cell activation, p-JNK, p-NFKB, and downstream signaling molecules, such as iNOS, COX-2, TNF-α, and IL-1β, in the mouse hippocampus and BV2 microglial cells. FA treatment strongly inhibited mitochondrial apoptotic signaling molecules, such as Bax, cytochrome C, caspase-3, and PARP-1, and reversed deregulated synaptic proteins, including PSD-95, synaptophysin, SNAP-25, and SNAP-23, and synaptic dysfunction in LPS-treated mice. 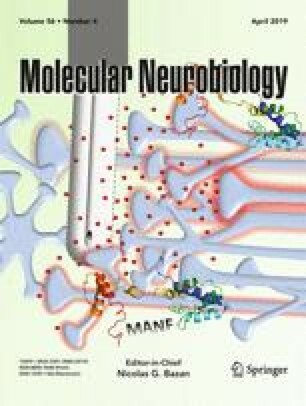 These findings demonstrated that FA treatment interfered with the TLR4/MD2 complex binding site, which is crucial for evoking neuroinflammation via microglia activation and inhibited NFKB likely via a JNK-dependent mechanism, which suggests a therapeutic implication for neuroinflammation-induced neurodegeneration. The online version of this article ( https://doi.org/10.1007/s12035-018-1280-9) contains supplementary material, which is available to authorized users. This research work was supported by the Brain Research Program through the National Research Foundation of Korea funded by the Ministry of Science, ICT (2016M3C7A1904391). All the experiments and animal experimental procedures were approved (Approval ID 125) by the animal ethics committee (IACUC) of the Division of Life Science, Department of Biology, Gyeongsang National University, Republic of South Korea. All the animals were carefully handled and acclimatized for 2 weeks before starting the experimental procedure as according to the animal ethics committee (IACUC) of the Division of Life Science, Department of Biology, Gyeongsang National University, Republic of South Korea.